The largest of the Central Asian countries by far, Kazakhstan is a land of big skies and vast open spaces. Dominated by the seemingly unending northern steppe, the country is also blessed with beautiful lakes and a rugged spine of snowcapped mountains along its borders with China and Kyrgyzstan. With such raw and remote landscapes, untouched and unspoiled by crowds, this is a destination superbly suited to outdoor adventuring. After exploring the leafy boulevards, cafe culture and chic shopping of Almaty, the elegant former capital, you'll want to get straight out into Kazakhstan's wild landscapes. Head to the stunning ranges of the Tian Shan "Celestial Mountains" for a unique mountain biking adventure that will take you through the incredible landscapes of Kazakhstan and neighbouring Kyrgyzstan. With huge skies overhead and snowcapped peaks in the distance, the only traffic you'll encounter in this rugged wilderness will be the occasional horseman or nomadic Kazakh moving their herds to higher pastures. Cycle along glacier-fed rivers, through pine forests and open rolling grasslands carpeted in wildflowers, enjoying rocky jeep track ascents to high mountain passes, adrenalin-pumping downhill sprints to the grassy valleys below, and two days of unforgettable heli-biking in Kyrgyzstan's lush Karkara Valley. 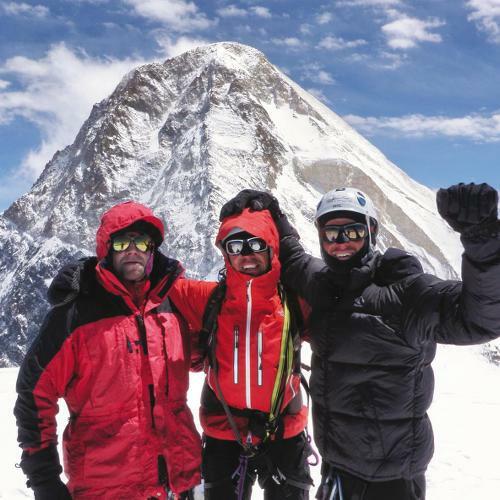 Or for the experienced mountaineer, tackle a challenging expedition to climb the spectacular ice pyramid of Khan Tengri (7,010 m / 22,999 ft), Kazakhstan's highest point and the second highest peak in the Tian Shan mountains. Join us as we explore the outstanding landscapes of Central Asia! Much of this cities modern architecture is a stark contrast to the vast, open steppes that surround it. Explore Kazakhstan's 1500 year old city and see the tombs of the Kazakh khans and noble representatives. 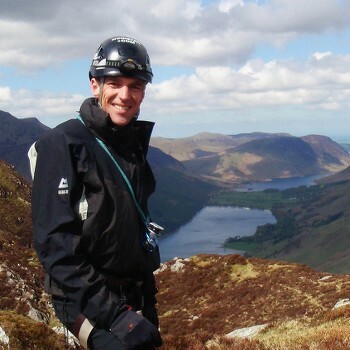 With its moderate climate all year round, the conditions are great for a climb. One of the most beautiful natural corners of Kazakhstan, the snow fields of Chymbulak make it Central Asia's top skiing centre. 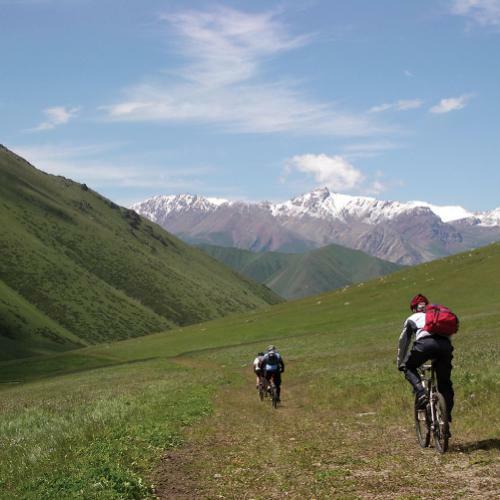 Pedal through the lush, wide Koshkar valley formed by the glacier-fed Kokzhar River. Located in the picturesque foothills of the Tien Shan Mountains , Alamaty is Kazakhstan’s most alluring city. 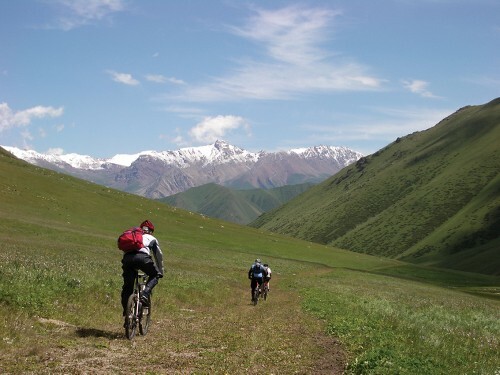 Traverse across the Kungey Alatau Mountains and ride through grasslands and fields of wildflowers, including edelweiss. There is no better way to explore a new destination than under your own steam, and as the ninth largest country in the world, Kazakhstan is ideal for just that. 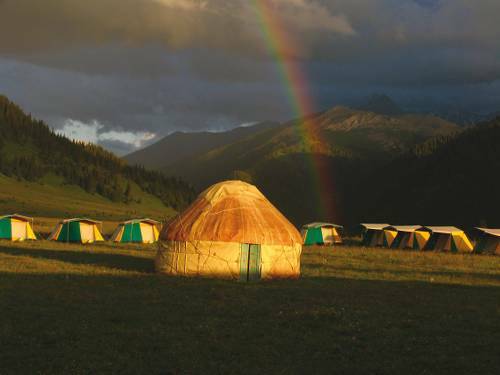 Whether you are mountain biking or trekking through the arid, treeless steppes of the centre or the snow capped peaks and glaciers of the Tian Shan mountain range, our adventures take you off the beaten path and provide authentic insight to this beautiful land. Our guides in the field are what make your Kazakhstan adventure special. 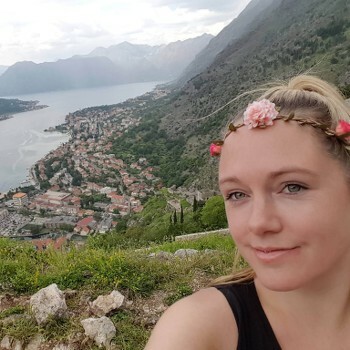 The guides are highly experienced, have a passion for leading remote expeditions and are eager to share their country with you. We operate all of our itineraries on the principle of minimal impact travel and adhere to the strict guidelines of 'leaving no trace' behind. 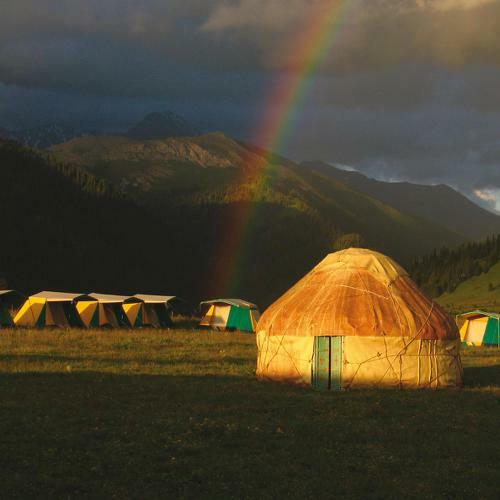 In Kazakhstan, our fully supported camping ensures that no damage to the natural landscapes occurs as a result of your visit. We use quality guesthouses that have been picked for their charm. They are not luxury inns however we ensure they offer you a truly authentic experience. Enjoy our fully supported camping in quality two person tents erected in scenic wilderness. Kalmykov is a highly experienced guide and guide/interpreter. He is very well travelled across Kyrgyzstan and Kazakhstan, with further forays to the USA, Italy and Germany. 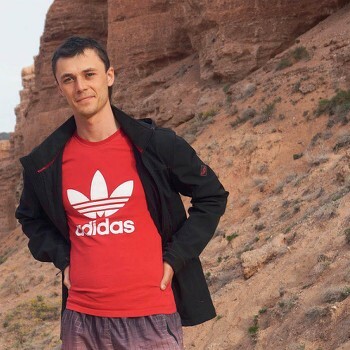 Kalmykov is a tremendously focused guide - responsible, punctual - and a very active individual whose interests include running, playing football, swimming and gym/general fitness. Kazakhstan, a vast country of Central Asia, has a markedly continental climate, with very cold winters almost everywhere, while summers are warm in the north and definitely hot in the south. There are no obstacles which could protect the country from cold air masses of polar or Siberian origin, while in summer the hot winds from the deserts of Iran can blow. Central Asia gets very cold in winter and very hot in the summer, because of the distance from the oceans, so that both the highest and coldest records are noticeable: in the north the temperature can reach -50 °C in winter, as well as 40 °C in summer, while in the south it can go from 35 °C to 45 °C. The clashes between different air masses can give rise to strong winds and dust storms, especially in spring and in the south. In the cold months, northern winds can cause blizzards, but without great snow accumulations due to the scarce amount of precipitation. Electricity in Kazakhstan is 220 Volts, at 50 hertz. The most common pin type is C. (2 round prong). Visa and other entry and exit conditions can change at short notice. Contact the nearest Embassy or Consulate of Kazakhstan for up-to-date information. All other nationalities, please check with your consulate or embassy for current visa requirement information. Allow up to 6 weeks prior to trip departure. For stays over 30 days, get the appropriate visa for the purpose of your visit. Check the validity dates for your visa and any restrictions before travelling.